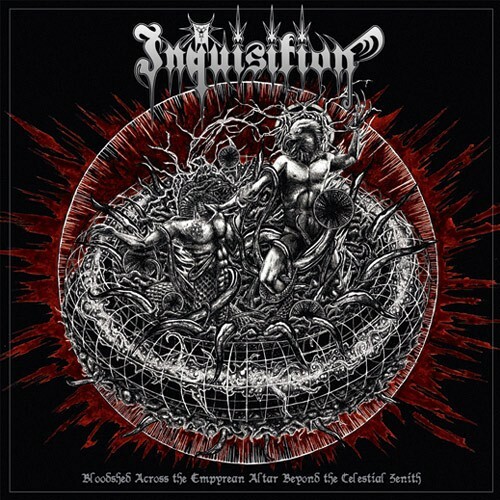 Latest Inquisition album, released by Season of Mist. Silver / black marbled double vinyl. 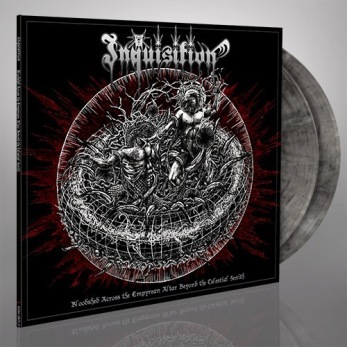 LTD to 500 copies worldwide. This copy got seam splits on both printed innersleeves, damaged during transport. 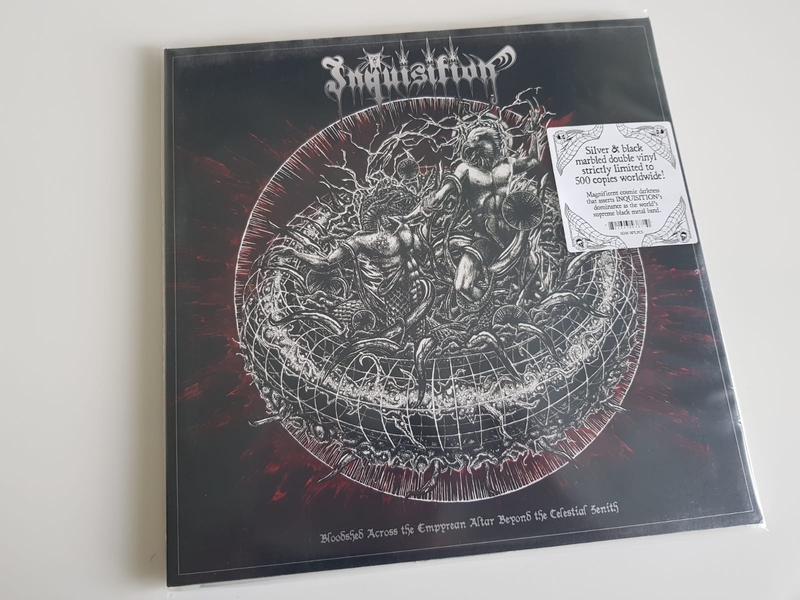 INQUISITION unleash their long-awaited new album 'Bloodshed Across The Empyrean Altar Beyond The Celestial Zenith'. Long known for some of the most powerful black metal the genre has ever seen, the cult metal firebrands have invoked their most magnificent cosmic darkness yet. 'Bloodshed...' is the album that INQUISITION has been building toward for their entire career, and asserts their dominance as the worlds supreme black metal band.